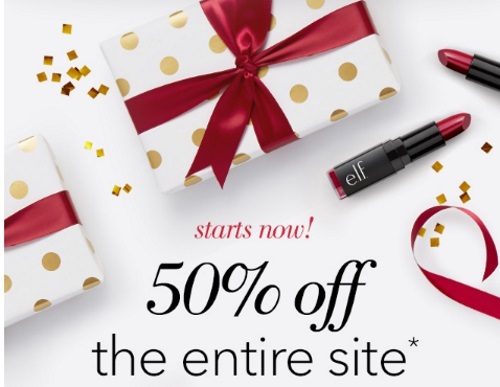 ELF is offering 50% off their entire site right now! Stay on top of your gift-giving game this hliday and get them under the tree on time! Enter the promo code HALFOFF at checkout with any $30 order. New items are excluded. Offer valid today only, Monday, December 12, 2016. Extended one more day until Tuesday, December 13, 2016.